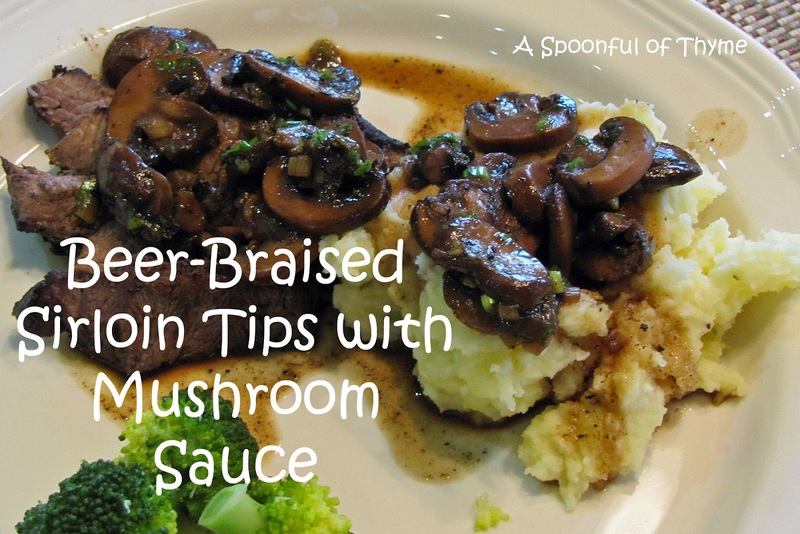 It was the word beer and the mushroom sauce that caught my eye when I saw this recipe in by inbox last week. It seemed a good one for fall, and, since I am pushing for cool weather, I decided to go for it. I keep thinking if I cook for cool weather surely the weather god will hear me and bless all of us cool breezes. The mushroom sauce had a great flavor so I was not disappointed. I had hoped that the sirloin would be a bit more tender but I think that was because I usually buy a tray at Costco and this time I did not. I will repeat the recipe. It was easy and had a nice depth of flavor. Mix the mustard, brown sugar, thyme, ginger, paprika, and 1 tsp salt in a small bowl until well combined. Coat both sides of the steaks with the spice mix. Trim the ends of the cremini. Wipe all of the mushrooms clean and slice them 1/4 inch thick. Heat the oil in a large skillet over medium-high heat. When the oil is shimmering, add half the steaks and sear them until nicely browned, 2 to 3 minutes per side (the steaks will brown quickly because of the sugar in the spice mix). Transfer to a plate and repeat with the remaining steaks. Reduce the heat to medium, add 1 Tbs of the butter to the pan, and let it melt. Add the mushrooms, the scallion whites, and 1/4 tsp. salt and cook, stirring occasionally with a wooden spoon, until the mushrooms soften and brown, 4 to 6 minutes. pour in the beer and Worcestershire. Scrape the bottom of the pan , raise the heat to medium high, bring to a boil, and cook, uncovered, until the liquid is reduced by half, about 4 minutes. Return the steaks and any accumulated juices to the pan, cover tightly with a lid and reduce the heat to a low simmer. Braise, turning the steaks after 8 minutes, until tender and just cooked through (they should be easy to slice with a paring knife), about 16 minutes total. Transfer the steaks to a cutting board and slice them thinly. Cut the remaining 1 Tbs. butter into four pieces and swirl them into the sauce. Stir in the scallion greens and taste for seasoning. Serve the steak slices topped with the sauce. I am sharing at On the Menu Monday hosted by Yvonne at Stone Gable and Recipe Sharing Monday hosted by Ali at Jam Hands. I am also sharing at Food on Friday hosted by Carole at Carole's Chatter. I'm planning to make this tonight (got the same email!) and thought I'd search to see if anyone else had - I always like seeing reviews and changes. Glad to hear it turned out well, I'm off to buy my ingredients! We're having a meal that kind of feels like that tonight:) Osso Bucco.. Your dish looks like fall and comfort on a plate!! Beer and mushrooms were the two words that jumped out at me as well - your plate looks fantastic. This looks so delicious! I feel like I can almost smell it and savor it. I can imagine the taste right now. 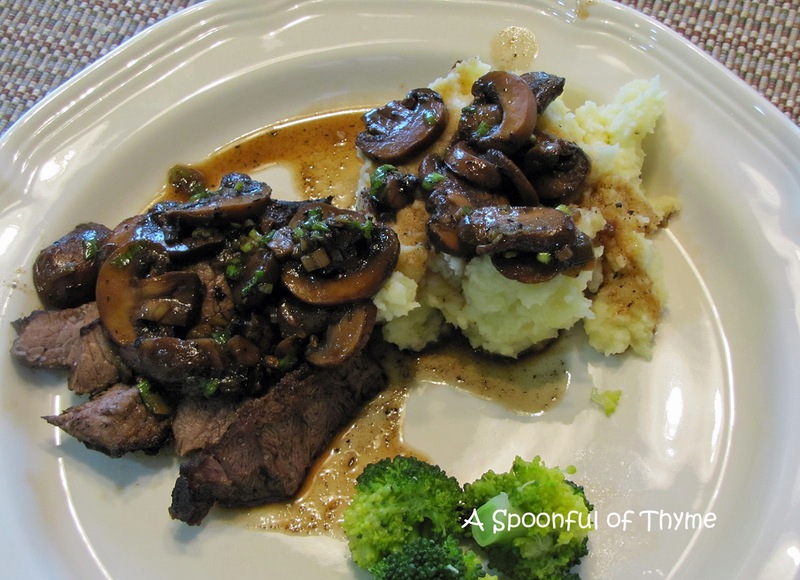 Wow, this looks good...I love anything with mushrooms. Thanks for sharing the recipe! I always have good luck with Costco meats too. I love this kind of meal when the days start to get chilly and the leaves begin to turn. Is your Paris calendar full yet, Kate, or do you need a few more suggestions of must see places? Your dish looks and sounds terrific. I have only cooked sirloin tips on the grill. 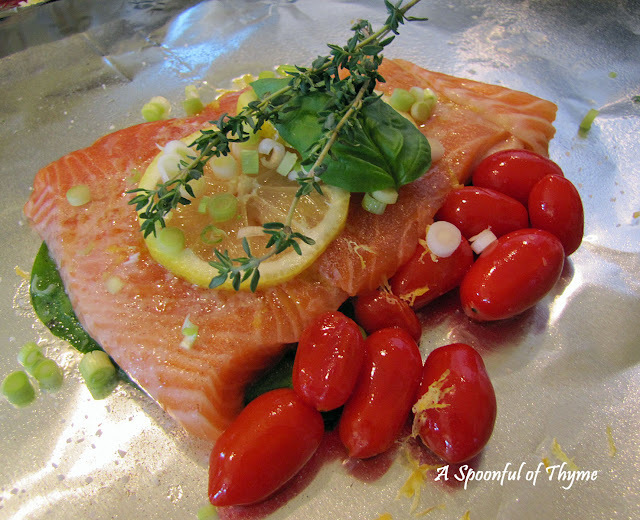 I can't wait to try your recipe...it is perfect for the cool fall weather we are having here in New Hampshire.